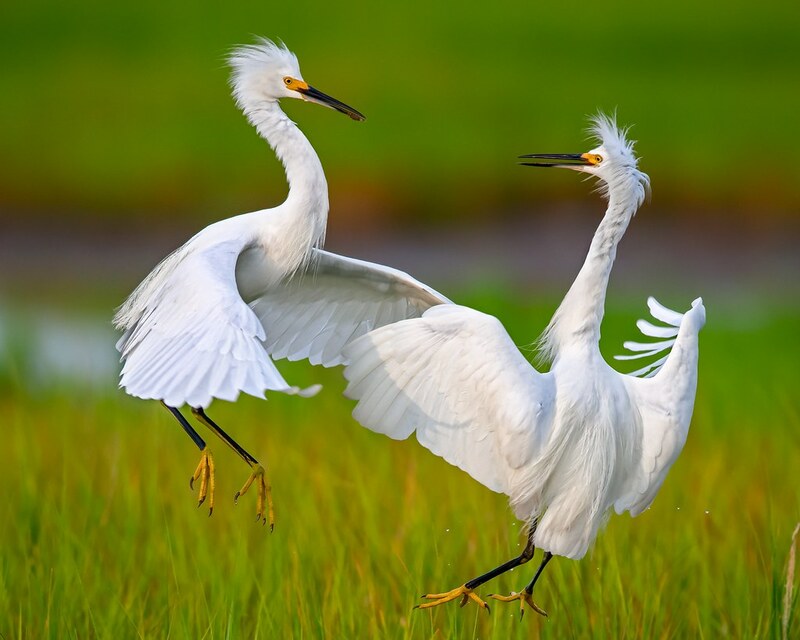 The Maryland Department of Natural Resources has announced the winners of the 2016 Natural Resources Photo Contest, with the grand prize going to Mitch Adolph of Lutherville for his excellent action photo of sparring egrets on Assateague Island. This year’s grand prize package includes $500, a 2017 Maryland State Park and Trail Passport, a five-year subscription to the Maryland Natural Resource magazine and five copies of the 2017 calendar with the winning image gracing the cover. Two hundred and forty-four photographers submitted a new record total of 1,421 photos in this year’s contest. In addition to the overall grand prize winner, the judges selected first through third place winners in four seasonal categories—winter, spring, summer and fall. Still to be determined is the fan favorite, which will be chosen by popular opinion on the department’s Facebook page. “Like” your pick between now and the end of September. The first prize category winners in the four categories will receive a passport, a two-year magazine subscription and five copies of the calendar. Second place winners will receive a one-year magazine subscription and five copies of the calendar. Third place and fan-favorite winners will receive a copy of the calendar. All winners and the fan favorite will have their images published in the 2017 wall calendar. View all of the winning photos here, and be sure to vote for your fan favorite until midnight Sept. 30, 2016.